Need plumbing or heating materials? We have it all. 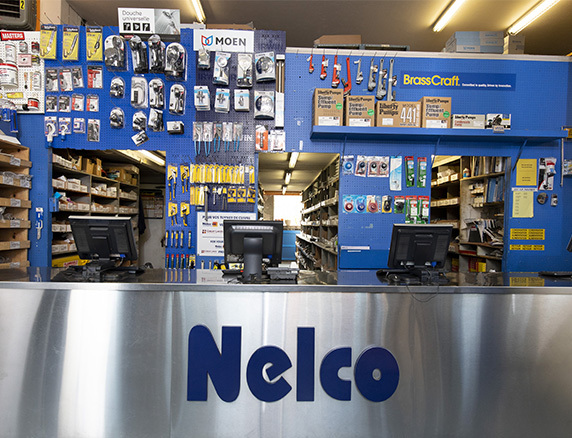 From specialized plumbing materials to water heaters or simply replacement parts or pipes, the team at the Nelco counter will make sure you find just what you need. We are available Monday to Friday, 7 a.m. to 5 p.m., to take and prepare orders for all your plumbing and heating projects. Unable to pick up your order? Not to worry! Nelco offers delivery throughout the Montreal area. Our sales representatives can come to your site or place of business—anywhere in the greater Montreal area—to provide quality, personalized service. They will be happy to share their plumbing and heating expertise so that you can find the best products adapted to your specific requirements.